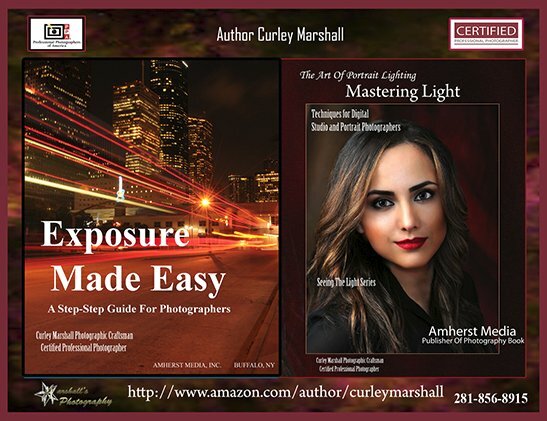 Click Here To Order Mastering Light "Ready to Ship"
Mastering the light is learning to see the light and having a good understanding of shadows and highlights will help to accentuate your subject’s face. Lighting ratios are all important factors in creating dramatic lighting. In addition, utilizing loop lighting, narrow/short and broad lighting is also a major factor in shaping the mask of the face. These types of lighting techniques add an element of dimension to your portrait. There are three main keys to great light: they are Light Placement, The Direction of light, and the Quality of that light. When you understand how to control your lights, you will get the desired effect. Learning to see the light will take your photography to the next level. You can master the light, but first, you must learn to see the light. Mastering The Light – The Art of Portrait Lighting “Back to the Basics”. Click Here To Order Exposure Made Easy "Ready to Ship"
Exposure Made Easy is an Instructional Photography Book.